After being released in three impressive colorways that are included in the “Road To The Gold” Pack, the Jordan Super.Fly will be hitting the market once again in an eye-catching colorway. 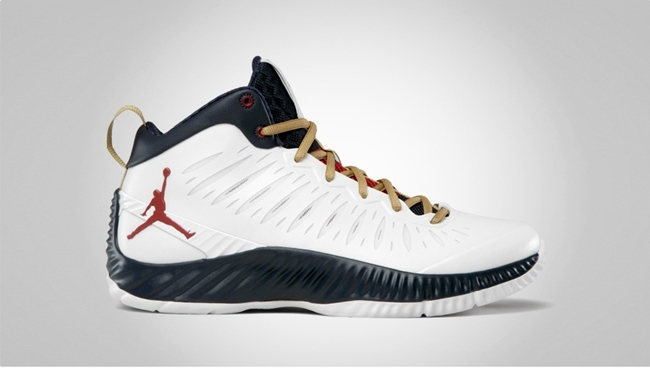 The Jordan Super.Fly, which is one of the newest models from Jordan Brand, will be hitting shelves in White/Varsity Red-Obsidian-Metallic Gold colorway, which is dubbed as the “Olympic” edition of the shoe. Make sure to check this one out starting July 25 and make sure to grab your own pair!